JOCELYN Z. YODER FAMILY, circa 1886. LtoR: Jocelyn Z. holding Jocelyn Paul, Bessie Lee, Marion (holding doll), Bertha Alice, Melvia Ethel in mother Phebe's lap. Yoders have tended to use the same first names over and over. With a little thought, a few names which are common enough in other families but rare among the Yoders come to mind. In the Conrad Yoder line, Adolphus (Con32) and Lafayette (Con325) stand out. Among the early Amish Yoder line, the name "Caleb" (YR2356) was unique. But the name "Jocelyn" is a name which is rare not just among Yoders, but in general. In a previous edition of the newsletter (YNL 8) we featured Congressman Samuel S. Yoder, son of Yost Yoder (YR23331) and his wife Nancy Hochstetler. Samuel was the seventh of eleven children of this couple. 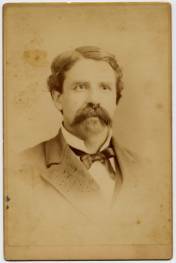 After serving two terms in congress he went on to become the Sergeant of Arms in the 52nd Congress (1891-1893). 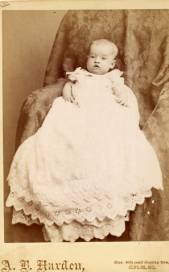 His brother Jocelyn Z. was the youngest child, having been born in 9/15/1848 in Winesburg, OH. As we wrote in the earlier article: "Samuel's father died in 1850 and his mother married Tobias Miller, a widower with 11 children. This made a total in the joined family of 24 (the last child being that of Tobias and Nancy and died as an infant). Since this was too many youngsters to handle, the older ones (Samuel included) were put out with other families." Jocelyn Z. passed away in Washington on Jan. 16, 1933, and Phebe followed him May 21, 1935. They are buried at the Rock Creek Cemetery, in Washington, DC. Their only son, Jocelyn Paul, was born Jan. 14, 1884 in Galena, Ks. He moved to Washington in 1892 when his father was made cashier for the House of Representatives. He attended public schools there and went on to start a newspaper career at the Washington Times. 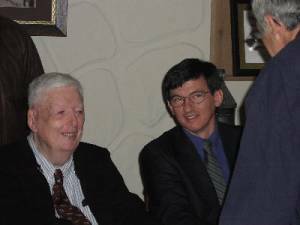 During his newspaper career, he was also on the staff of the Washington Post, Washington Star, and the Richmond Times-Dispatch. From Richmond, he returned to become the assistant city editor of the Washington Times. He was one of the founders of the National Press Club in Washington in 1908. In 1911, he left that paper to become a manager of United Press in Boston. 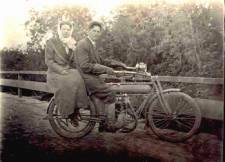 Also in 1911, on Oct. 17th he married Leona Edgar Kidwell (born Mar. 15, 1888 in Centerville, Va. to Edgar and Leona (Crouse) Kidwell). They had one child, daughter Leona Jacqueline, b. Mar. 18, 1914 in New York City. It was a job as advertising manager for Simpson-Crawford's department store which took the family from Washington to New York. While there he later worked in a managerial position with United Press, eventually transferring to Chicago. In 1916, he was assigned to cover former President Teddy Roosevelt during the campaign of Charles Evan Hughes, traveling over 26,000 miles with the former president in his private rail car. Often he was the only newsman along. Because of his intimate knowledge of Washington DC, he was placed in charge of the United Press there during the months preceding the US entry into WWI. Jocelyn Paul was in France with the army after the armistice, and while there was elected secretary of the Federal Trade Commission. As FTC secretary he directed the publicity for that body over three and an half years. In 1922 he went back to the newspaper business, serving with the Consolidated Press Association in New York, and later Chicago. In Chicago, he opened his own publicity business and was director of publicity in the western region for the John W. Davis presidential campaign of 1924. He was then asked to take over the job of director of publicity for the Coral Gables, Florida Chamber of Commerce. In that capacity he helped publicize the newly growing community. Below J.P. (Paul) can be seen between heavyweight champion Jack Dempsey and his wife, actress Estelle Taylor. Jocelyn Paul died Sep. 30, 1950 in Arlington, Virginia and his widow Leona on Jan. 22, 1961 in Springfield, Ill., where their daughter Leona lived with husband George Edward Sangster. Both J. P. and Leona are buried at Arlington Cemetery in Virginia. Battle of Kennesaw Mountain d in hospital, bur Chattanooga TN Corporal Co G 51st Oh Inf. Jocelyn Z. and S.S.'s brothers Jacob and Moses died in the Civil War. 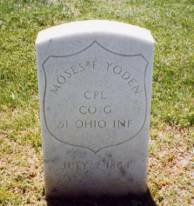 Moses is buried in the National Cemetery in Chattanooga, grave number #11,667 Sec E. His grave is incorrectly marked as "Moses Yoden" (see below). 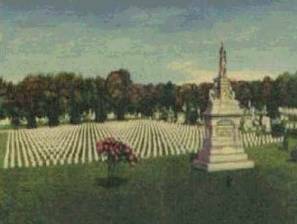 The department of veterans Affairs wrote me in 1995 that "Current National Cemetery System policy is not to change Civil war Soldier inscriptions due to the possibility that the soldier in question could be interred in that grave and if changed may result in additional incorrect information. During the Civil war there were many instances of incorrect spellings on the headstones. It is difficult to ascertain what soldier was buried in a specific grave and also to insure the name was correct." Among the S.S. Yoder family photos shared with the YNL many years ago are ones of sister Mary Eash Kauffman (above). We don't have a photo of Dr. Noah Webster Yoder, whose story of wartime heroism and family tragedy makes him a candidate for a separate YNL article someday. We do, however, have a photo of Noah's grandson Max Sawyer (below). Their mother Nancy had one more child after her marriage to Tobias Miller, and this half brother Aaron T. Miller, born 7 years after Jocelyn, also became a medical doctor and surgeon practicing in Shanesville, Ohio (below). 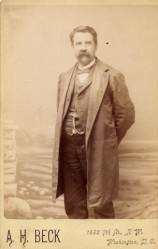 Samuel S. Yoder, for whom a selection of photos is portrayed below, was the political brother. A treasury of his papers is on file at the Library of Congress in manuscript collections # 1063. This file of about 500 items includes about 100 war-time letters by his brothers Noah W., Moses F., and Jacob Yoder, 1861-64, written during campaigns in Kentucky, Tennessee, and Georgia. These provide "information on the occupation of Nashville; the Stones River, Chickamauga, Chattanooga, and Atlanta campaigns; and the deaths of Moses and Jacob Yoder. Also contains comments on the service of the 51st Ohio Volunteers, camp life, morale, generalship, marches, discipline, entertainment, disease, casualties, hospital care, prisoners of war, morality of soldiers, and the attitude of Federal soldiers towards blacks." Is there a family descendant or other YNL reader who will some day take on the editing and publishing of this material? 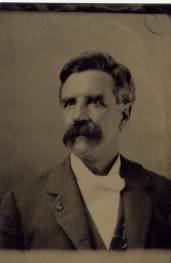 Credits: Two grandchildren of J.P. Yoder- Paul E. Sangster of Flagstaff, Az, - for biographical information, and Barbara Kissell for a copy of the family photo. 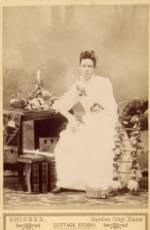 The late Mrs. S. Hazen Shea, who provided other family photos from the records of Cong. S.S. Yoder. 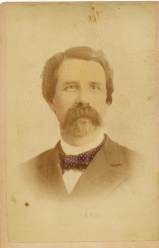 Samuel Yoder was born in Upper Mahantongo Township, Schuylkill County, Pa. on February 19, 1833, the son of Solomon and Elizabeth (Sherman) Yoder. Samuel's grandfather Peter Yoder was the great grandson of the emigrant Hans Yoder Sr. of the Oley Valley. Solomon Yoder settled in the Mahantongo Valley area of Schuylkill County around 1820 near his first cousins Abraham and George Yoder Jr., sons of George Yoder a veteran of the American Revolution. Solomon and Elizabeth Yoder had the following ten children Isaac, Solomon, George, Christina, Samuel, Amos, William, Abraham, John, and Baldoes (Benneville). In the mid 1850?s Amos, Samuel, and Christina all settled in the Clarion county area. Amos purchased a farm in Armstrong County just south of New Bethlehem, Pa. Christina, wife of Civil War Vet Edward Sherman, lived near Strattanville, Pa., and Samuel married Margaret Rockey and lived on his father in law's farm in Redbank Township, just north of New Bethlehem. Margaret (Rockey) Yoder's grandmother, Margaret Dautin, was part Delaware Indian and lived six days short of 103 years. She participated in the festivities of the tour of George Washington enroute to New York to be inaugurated as the first President of The United States. At Trenton, N.J., he passed 13 young girls dressed in white flowing robes singing "Welcome Mighty Chief", Margaret Dautin was one of them. Samuel and Margaret were married September 4, 1856. Children of this union included Solomon born 4/2/1857, Amos born 2/11/ 1860, John Wm. 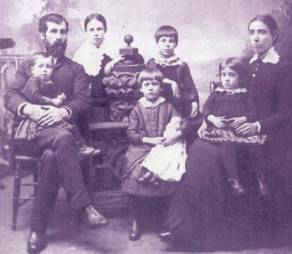 born 5/7/1862, Katherine Jane born 4/6/1866, Mary E. born 4/28/1868, Sarah E. 12/28/1870, and David H. H. born 12/21/1873. Samuel enlisted for service in the 14th Pennsylvania Cavalry Company M at Pittsburgh, Pa. on Sept. 12, 1862 for a three year tour of duty. At enrollment Company M consisted of 32 officers and 135 men. The 14th PA. Cavalry spent all of the remainder of the war in West Virginia under General Averill, and later in Virginia with General Phil Sheridan as part of his Shenandoah Valley Campaign. Two of the best know battles the 14th engaged in were the Droop Mountain West Virginia Raid and the Salem Virginia Raid. The Battle of Droop Mountain took place November 6, 1863. Samuel took part in the 14th Cavalry's brave charge to break the left flank of the enemy line to provide a victory. The Raid of Salem, Virginia was one of the most grueling, perilous expeditions of the entire war. The subject of an entire book I have read, this seventeen day adventure has all of the drama and stories of bravery one might equate with the much more famous Gettysburg battle. General Averill planned a daring winter raid, which was unheard of because of cold weather conditions. The Confederate government had concentrated large quantities of supplies at Salem, Virginia, on the Virginia and Tennessee Railroad. The government at Washington determined that these supplies be destroyed in a surprise raid. Samuel was part of the heroic force that had to cross mountains covered with snow and ice, to swim frozen streams, and endure hardships of storms and frost as well as seven separate Confederate forces. Campaigns like these took their toll on the forces, not just in gunshot wounds, but in illness and disease. Repeated hardships and re-occurring chest colds for the remainder of his service contributed to Samuel contracting consumption (tuberculosis). Samuel was mustered out with his company on May 30, 1865. 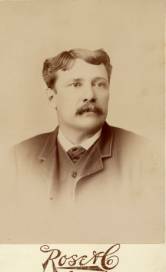 Samuel returned home to Clarion County where he suffered with his lungs until his early death at the age of 47 on July 20, 1880. His widow Margaret endured six years of correspondence with the government, supplying many documents as to proof that Samuel became ill during the war. I have copies of these documents which provide amazing insight into the lives of our ancestors. She finally was granted a widows pension, which at the time of her death in 1918 was $25 a month. 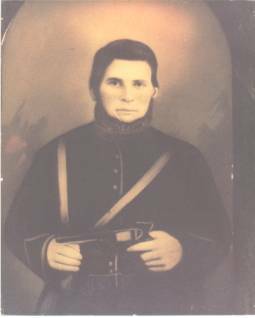 Samuel Yoder was one the noble men who made the 14th Pennsylvania Cavalry one of the most efficient and famous regiments of the state. He is buried in an old cemetery between New Bethlehem and Brookville Pa. in Clarion County. Nestled in the Allegheny Mountains of western Maryland is a small forest of spruce trees in which are historically significant family log houses, relocated and restored to serve as studios for artisans. In the Wright House is Gary Yoder, a renowned bird carver, cheerfully meeting the persons visiting his studio during the months of May through October. Spruce Forest Artisan Village is located near Penn Alps Restaurant and Craft Shop and adjacent to the historic Casselman Bridge, a handsome stone arch bridge built in 1813, Grantsville, Maryland on the Old National Pike. Gary, and his six brothers, are the sons of Olen and Viola Yoder. They were born and grew up on a farm in Grantsville, Maryland. Three of the brothers are teachers, one in medical research, another a banker, the oldest one Director of Garrett County Community Action, and Gary a renowned and internationally recognized bird carver. Viola remembers returning home and finding the bathtub filled with water and the day's catch of minnows! Seven creative boys provided much entertainment for the family and friends. During the 50's polio had become a major health problem in the area. Even though Gary had begun the Salk vaccine, it was not enough to prevent him from getting polio. This has limited his mobility, but not his love for birds and all of nature and zest for life. The third grade teacher at Yoder School, Ruth Yoder, encouraged his interest in birds by taking children on bird hikes after school and on Saturday mornings. His older brothers helped him identify birds as well. By the time he was in first grade he accurately identified more than 100 birds and was astonished to hear classmates identifying a cardinal as a "red bird". At age 11 a group of Yoder School students (Gary being one of them) were excused from school to take a carving class at Penn Alps started by Dr. Alta Schrock. They cut the blocks and the children were to come equipped with a sharp pocketknife. And so began the bird-carver's life long passion. He also credits Wendell Gilley's The Art of Bird Carving and later Bruce Burk's book Game Bird Carving for enlightening him on the possibilities of a block of wood and carving tools. At age 12 he was excused from school to become a "demonstrator" at Penn Alps each Friday afternoon in May, September, and October. At age 13 he began selling his first carvings when he became an artist at Penn Alps demonstrating bird carving during the summer months. "When I started working at Penn Alps I met a lot of other people who were bird carvers or who collected carvings. I made one of my first major sales the first summer I worked there," says Gary. "Charles Foster, who was from New England and was very interested in bird carving, bought a pair of Boreal Owls from me for eighteen dollars. He really got me excited about carving, and he took an interest in me. Later he sent me a package filled with chunks of basswood, knives, tools and all sorts of stuff. A lot of people like that have helped me along the way. That's one of the nice things about the carving field. Everyone is open and willing to help less experienced carvers." It was Mr. Foster who told Gary he needed to sign his carvings. This is also true of Gary who shares his knowledge with tourists and interested carvers. 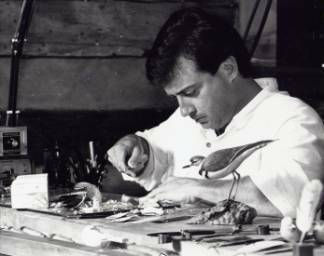 During this period he began attending the Salisbury (MD) and Ocean City Ward shows where he learned to know all the well-known bird carvers. It was also the time when he began winning carving contests. He does not display his prizes and ribbons-you must ask to learn of his many, many accomplishments! To the question, "Have you ever entered a carving in a show for which you did not receive a prize?" he replied without hesitation, "The very first entry." Having had very little exposure to the carving world, he almost decided not to enter the carving because he suddenly saw what professional carvings really were. However, he modestly answered that he doesn't remember any not receiving an award since that time. For each bird, Gary does extensive research, then a drawing, followed by a clay model. Then comes the carving. The last step is painting which he enjoys and completes with great detail. He uses a variety of water based acrylics because they are versatile and dry quickly. His attention to great detail from the feet to the feathers distinguishes his work from others. To mention just a few of his awards and accomplishments, he has had entries in the Leigh Yawkey Woodson "Birds in Art" in 1984, 1986; Smithsonian 1987; Bruce Museum 1988; Leigh Yawkey Woodson "Naturally Drawn" Traveling Show 1991; State Capital Building several times: World Bird Carving Exhibition Japan Tour (1992,'93) National Geographic Explorer's Hall 1993. Major awards include: 5 World Championships Ward Foundation; competitions in California, Virginia, Maryland, Wisconsin, and Minnesota. There are permanent collections at Ward Foundation Museum of Wildfowl Art in Salisbury, MD; Leigh Yawkey Woodson Art Museum in Wausa, Wisconsin. He has been featured in How to Carve Wildfowl (Stackpole) and Wildfowl Art (Firefly Books). Magazine features include Wildfowl Art, Birder's World, Wildlife Art, Wildfowl Carving and Collecting, and Wildfowl Carving Competitions. The Ward Foundation Calendar pictures Gary with his Steller's sea eagle. Gary is a great bird carver, but an equally great human being still says, "success is relative" and that he has "never carved the perfect bird". He is an avid bird watcher, helps band birds, does bird counts and on and on. Right now, in exchange for a carved feather, he is planning a raft ride with a friend on a fishing expedition. If you are a Yoder (or not a Yoder) you will want to include a visit to Spruce Forest Artisan Village to Gary's studio. And the newly built Yoder House is located in the same village. HARDBOUND YNL OUT OF STOCK-IF YOU"VE ASKED TO BE ON THE WAIT LIST, PLEASE RESUBMIT YOUR NAME!! (We lost email files due to a computer burp in mid-2003!) The last few remaining copies of the hardbound YNL Back-issues are exhausted. BACKORDERS are being taken (without deposits) and when a sufficient volume exists to launch a reprint, you will be contacted and offered a "pre-publication price" to help fund the basic costs of reprint. The Yoder Newsletter Issues 1 Through 25 - bound 240-page volume includes a topical index of major articles, and an "every name index". Send your reserve order to Chris Yoder at the email and regular address above. It may be several years until sufficient orders are assembled to launch a reprint. YODER DATA ON DISK: 23 MB of Yoder data is now available on a CD-ROM. Included back issues of YNL text, census and county records, family group data and pictures and scanned images. The price for our "Yoder Data on Disk" is $10 (postage included). Send to YNL address in Goshen. In YNL 15 (April 1990), the late and respected H. Harold Hartzler contributed a biographical sketch on Joseph Warren Yoder (1872-1956). 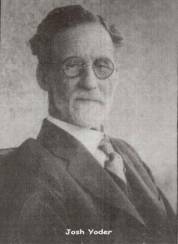 In addition to being a prominent author and musician, he was a leading figure in the "Yoder Reunions" held for many years in Pennsylvania. A recent biography tells of the journey of this celebrated author of "Rosanna of the Amish" from an Amish family, into the world. The book is call "Fixing Tradition: Joseph W. Yoder, Amish American, Vol. 4" was written by Julia Kasdorf. This 298 page 6x9 paperback can be had for $22.95, plus $3.95 postage. To order, see: www.CascadiaPublishingHouse.com/ft/ft.htm . To order by mail write: Cascadia/Pandora Press, 126 Klingerman Road Telford, PA 18969. Also available through Barnes & Noble. Ralph Emerson Yoder (YR12a3317) and Anna Mae (Gotfredson). Ralph was Barbara (Frey) and Jonathan Samuel Yoder's son. My Uncle Earl gave me a copy of "The Yoder Family of North Carolina" when I was in my 20s. I was fascinated by the photos and stories and the idea that there were other Yoders out there across the country. Neither my father nor my grandfather spoke about their family, and I doubt my father knew much more than I. 30 years later, through the magic of the Internet, I found the family genealogy on line. I contacted Ted Yoder, who turned out to be my fourth cousin ­ our great-great-grandfathers were brothers. Ted told me about the annual Yoder reunion, and I decided to attend, flying from one edge of the country to the other. The first thing I noticed about my "new" family was that they all talk funny! But I quickly came to love the North Carolina dialect. As for the Hickory area, it was hot, humid and absolutely beautiful. Of course, living on the Pacific Northwest coast, I am used to tall trees and crashing Pacific waves. But the gentle, rolling hills and many rivers of the Hickory area seemed somehow familiar and welcoming. I stood on the hill at Conrad's gravesite with a 360° view of the lands "my people" had settled and felt the awe of belonging to something ­ I was 8 generations directly descended from Conrad. For the first time ever, I felt I had a history. The reunion was wonderful, and the Yoders a truly gracious and friendly group. I learned more from the exhibits and from talking to many people. My head swam trying to keep track of all the branches and how I was related to whom. But in the end, it didn't really matter exactly how I was related ­ I was part of this large family. A highlight of my trip was meeting the rest of Ted's (my!) family ­ and especially Gerald. I felt an instant affinity to my father's third cousin who welcomed me as if I had only been away for the weekend. He insisted I take home cucumbers from his garden and told me exactly how to fix them (which I did). He told wonderful stories of his childhood and the Yoder family. The evening after the reunion, I sat in Gerald's house with his son Ted, his daughter Joyce, grandson Trent, granddaughter Karen and great-grandson Jonathan singing and talking (Joyce and Trent playing guitar and Karen flute). What a special evening! I asked if anyone had a tape recorder so I could bring some of Gerald's stories back with me, and one was found. How precious that tape became when Gerald died less than a month later. I found my family and assuaged some of my curiosity about Hickory, North Carolina. But I also triggered a hunger for more, and I plan to return for the reunions as often as I can and continue to be a part of and expand contact with the lovely folk who are The Yoders of North Carolina. "YODER HILL" INCLINE TO CLOSE? 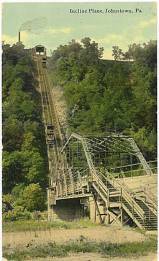 The historic Yoder Hill Incline near Johnstown, Pa is in danger of closing down. This inclined railway has operated for over 100 years and is billed as the "world's steepest vehicular inclined railway". Recent declines in patronage have threatened the financial stability of the operation and it has been operating at a loss. The web site for the attraction (http://www.inclinedplane.com/ ) reports that soon after the loss of 2,209 people during the devastating Johnstown flood: "The Cambria Iron Company began construction of the inclined railway in 1890, to carry people, horses and wagons to the new hilltop community of Westmont. On June 1, 1891 the Johnstown Inclined Plane began providing convenient transportation up Yoder Hill which had a steep 70.9% grade." "On March 1, 1936 when flood waters again ran through Johnstown, the Inclined Plane proved its worth by carrying almost 4000 residents to safety. In the most recent flood to hit Johnstown on July 20, 1977, the Inclined Plane once again carried people to the safety of higher ground, as well as carrying boats, emergency personnel and equipment down to the valley to aid in rescue operations". A Johnstown businessman is interested in reopening the restaurant, a move which could return the customers and which might sustain the inclined rail. However, the added parking which he has requested is subject to a contentious zoning dispute. "Yoder Hill" is named for an early owner of the property, after whom both Upper and Lower Yoder Townships were later named. The township web page names this fellow as a "John Yoder", but in reality the first Yoder settler was David Yoder (YR235) , who came with his large family of sons from neighboring Somerset County before 1830 and settled on large tracts in then Conemaugh Township. A part of this property also includes the present day Grandview cemetery, where the victims of the 1889 flood were laid to rest. On May 31, 1889, the flood hit Johnstown at 4:07 p.m. and destroyed the city in ten minutes. Driving across the valley, it hit Yoder's Hill and divided, half traveling up Stony Creek and half surging down Conemaugh River. YODER STARS ON "AMERICAN IDOL"
Thanks to Sandra Mahar for pointing out that Eric Yoder is one of the 32 finalists on the television talent contest "American Idol". Yoder, originally of Sullivan, Illinois, is a St. Louis University graduate and a current resident of that city. The Henry B. Yoder Family (YB1378)-Left to Right: Nicholas B., Susannah B. who m. Francis Ritzman, Peter B., Henry B. (1829 Mahoning Co.,OH-1899 near Wakarusha, IN), Anthony B., Elizabeth B. who m. Amos Lechlitner, Abraham B.. Thanks to Keith Yoder, Ft. Wayne, kyoder@mchsi.com . 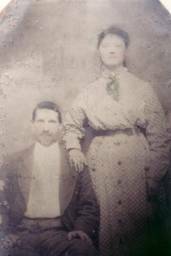 Photo of Adam David Yother (Con825) and his wife Lucinda Shaver, whose tombstone in Altus, Ark. was pictured in YNL 42. This photo, and the one in the prior edition, was contributed by Anita Hall, anita_hall@prodigy.net . 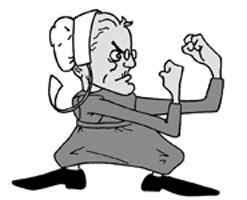 South Bend's "Notre Dame" combined with a large northern Indiana Yoder population (many who are Amish) has led to frequent jests about the "Fighting Amish" of "Yoder Dame". Here are two illustrations which poke fun at the connection. CORRECTION TO YNL 42 ID ON LEDGER SIGNATURES! I believe you, or whoever labeled the ledger on the third page of the latest newsletter is incorrect in stating that the folks are likely the sons of Jeremiah Yoder. Per my records on Jeremiah's sons Charles and Peter were too young to have bought a pistol in 1836. I believe instead that the 2 listed are probably Jeremiah's father, Peter, who bought land in Schuylkill Co. in 1811 and died Nov., 1836 and Jeremiah's brother, Charles.---Don Reed, rdonald@desupernet.net (Editor Cmt: I think you are right!! Peter's (OH133) son Charles b. circa 1797 would fit fine. Thanks for correcting us!). As a part of a continuing series (see also YNL40 and YNL42) we are pleased to present more signatures by Somerset County. Pa. Yoders. Joseph Fleming, owner of a 10 room residence in Stony Creek Township, applied for a tavern license to the County Court of Quarter Sessions in 1842 and submitted a petition signed by 13 of his fellow citizens. Four of these folk were prominent Yoders. The 1840 census shows two adult Christian Yoders residing in the township. 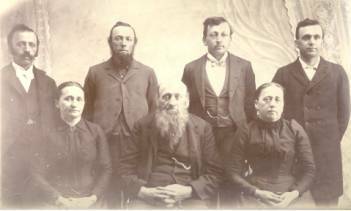 These were YR2344- Christian Yoder (1/24/1787 SP-11/17/1867 or 68 age 80y 9m 23d) son of Jacob Yoder, and YR2337- Bishop Christian Yoder Jr. (12/13/1790-11/21/1846 SP). Of the two signatures above the last one seems an exact match to the signature by YR2337 on his will signed in 1836. So our assumption is that the first signature is by YR2344 (perhaps taking the middle initial "J" from his father's first name). David Yoder appears to have been YR2397, the David Yoder (4/18/1806 SP-1/8/1856 SP) who m (h1) Sarah Lehman. (The signature for the other adult David in the township (Bishop Christian's son YR23374- 8/31/1817 SP- 11/24/1887 Middlebury, IN) is quite different and he signed legal documents as "David C."). The Philip Yoder was YR2349 (1806 SP-1868 Miami Co, IN). CLIP FROM THE "READING ADLER"
"January 17 , 1837 edition ; ---Martin Joder age 66--Oley." Martin appears to be (OH1113) Martin Yoder born Oct.19,1780 married 3/17/1807 to Susanna Peter (11/29/1783- 3/13/1844) and died Jan. 10, 1837 age 56y 2m 22d. both bur. Freidensburg, PA. You'll note that his actual age at death was "56" vs "66".. perhaps explainable by the easy misreading of a longhand 5 for a 6.
" December 5 , 1843 edition-------- Abraham Joder--age 73/5/5 --Rockland township." Courthouse records show "1843- Inventory filed Dec. 18, 1843 Abraham Yoder of Rockland Letter of Adm. to David Drey, son in law". Rockland Township Yoders of that time were known to be the descendants of immigrant Yost Yoder (OY). Yost's son Jacob (OY4) and his wife Maria Keim had a son Johannes (OY43) who m. 12/23/1788 at Schwartzenwald Ch. "Fronica Emmerich of Rockland Twp" and were members of Mertz Church. Jacob and Maria had another son Abraham (OY44). His date of birth had not been established in our records, nor had his date of death. But it is known that an Abraham Yoder was married Sep. 26, 1802 at Schwartzenwald Reformed Church (Berks County) by Rev. Boos to Elizabeth Breyvogel of Rockland Twp. Helen V. Yoder in YNL 9, identifies this Abraham as the likely OY44. It is known that OY44 was living as of 1803 when his father's will was made. Montgomery's Biographical History of Berks County provides information on the descent of the Abraham whose son-in-law was David Dry as follows (under Nathan Dry on page 1716): "David Dry, son of John, was born in Rockland township, in July, 1805, and died at Stony Point in November, 1872. He was a life long farmer, owning a fertile tract of 176 acres. About twelve years before his death, he retired and settled in Stony Point. He was a Democrat, and served as school director. With his family he attended Mertz's Church. (like OY43) He married Susan Yoder, daughter of Abraham Yoder and his wife, whose maiden name was Price. Mrs. Yoder died when Susan was but one day old. Mrs. Susan (Yoder) Dry died in August, 1888, aged nearly eighty-two years. 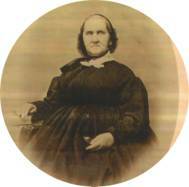 She was the mother of ten children: Nathan; Elizabeth m. Peter Wanner; Rachel m. Samuel Herbein; Mary m. Capt. Jonas Schollenberger; Catharine m. David Levengood; John; Abraham lives in Reading; Caroline is unmarried; Esther m. John Herbein; and Amanda m. James M. High." What of the name "Price" for Abraham's wife? Research by Richard Yoder provides an explanation. In a folder at the Historical Society for the Price family, he found that: "Conrad Price married Ester Hoch , they had a daughter Maria Price who married Jacob Breyfogel , they had a daughter Elizabeth Breyfogel who married Abraham Yoder, Sept 26, 1802 by Rev Wm Boos at the Schwartzwald Church in Exeter Township in Berks Co." It is apparent that "Price" was the name of Abraham's mother-in-law, not of his wife, and that the Abraham b. c1770 and d. 1843 was the Abraham who married Elizabeth Breyfogel, and, we believe is clear, was OY44. THE YNL- FOUNDED IN 1983.. STILL ONLY $3 PER YEAR-WHAT A BARGAIN! IS ALL YOUR YODER FAMILY RECEIVING A COPY? Thanks to Janis Noonan, ( 2zpool@charter.net ) for these photos of the family of Elias and Caroline Yoder (possible OH13346 or OH13334). 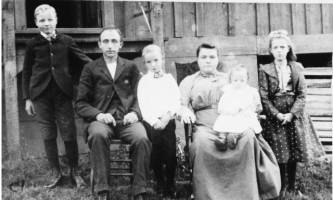 Above is shown Elias's son Ulysses Grant Yoder Family and his family, taken about 1903. From left to right, Will (b. 1892), Grant (b. 1865), Clair (b. 1887), Amanda (b. 1871), Grant (b. 1902), Mabel (b. 1894). Janis also has contributed photos from the family of Grant's brother Sinary. Above are the children of Elias's son Sinary Yoder (1860-1936). 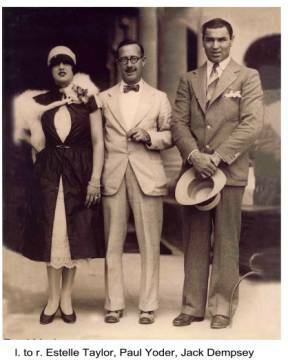 Walter (left) (1882-1963) is the son of Sinary and his second wife Margaret Lucas. The photo on the right includes Walter and his half-brother Toner (1885-1963) (son of Sinary and his third wife, Mary Catherine Lucas (1868-1929). 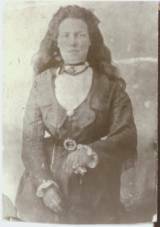 MARY (YODER) PANCOAST- Thanks to Sherry Young, Winchester, Va., sherryold@hotmail.com, for providing this photo of Mary (above left) taken at the age 64 in 1867. Mary (6/2/1803-3/-/1896) was the daughter of George Yoter and his wife Margaret of Venango Co, Pa, whose origins were confirmed in YNL 33 (http://www.yodernewsletter.org/YNL/ynl33.html). She married James C. Pancoast and moved to Ohio. They had children: Casper, 1826; Mary, 1828; Sarah, 1830; Elizabeth, 1832; Amanda, 1834; Rebecca, 1836; William, 1839; Edward, 1841; George, 1842; Thomas, 1846; James died in 1849 and is buried at Upper Sandusky, Oh. Mary is buried at Republic, Oh. All five sons were in the Civil War, with George killed at Mission Ridge.-Thanks again Sherry! The annual reunion of the family of Simon Henry and Katie (Nisley) Yoder will be held in late June at the Grifford Shelter, Brookside Park, Rensselaer, Ind. Simon (YR1253545) was the son of Henry S. Yoder & Sarah B Miller, gson of Simon Yoder & Lydia Hostetler, and g-gson of Daniel Yoder & Barbara Yoder (YR2361). Area Yoders are welcome to join. For more information contact: Virginia Riley, Box 203, Goodland, In 47948, phone 219-297-3311. Make a note to keep June 12, 2004, open for the celebration of the Dedication of the restored Pleasantville Covered Bridge. The Dedication Ceremony with local dignitaries will formally open the restored bridge. The village of Pleasantville with the surrounding communities and their civic organizations will also be hosting a festival around the bridge ceremony. The bridge was built on a portion of the original 461-acre land parcel of Hans Yoder, which was purchased in 1714. According to one early Hans Yoder deed, Covered Bridge Road was called The Great Road to Philadelphia. It was later called the Oley Turnpike, which was the last private turnpike in Pennsylvania. The "New Bridge" is in the process of being make safe for today's vehicles. The restoration is being done to keep as much of the look of the "Old Bridge" as possible. In addition to the Dedication Services, the Celebration will include a wide variety of activities and attractions as well as a variety of foods to sustain one and all. Some of the scheduled events are a Parade led by the American Legion Color Guard, a Fishing Rodeo, a Bicycle Race, Fire Works, and a Musical Presentation by a local celebrity. Activities will include hay wagon rides, trolley rides, a raffle (with some great prizes) and shopping for crafts, souvenirs and antiques. Some of the local churches will be sponsoring a Strawberry Festival, a Flea Market and will sell a variety of foods. There will also be chicken barbecue for sale. The local Boy Scouts will be helping with nearby-parking and local transportation to places of interest. The community hopes to provide an entertaining and memorable day for all. The Oley Yoders will be having our own stand at which we will be selling the wooden replicas of the bridge and also our memory books and T-shirts. 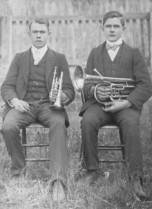 Richard Yoder and Robert Keller will be available to help with genealogy questions. We would like to see lots of Yoders there. For more information please contact Phyllis R. Yoder at 9 Yoder Drive, Shoemakersville, PA 19555 or by e-mail at pry884@aol.com . -Charles Lee Yoders (M23412) of Washington, Washington County, PA, died 14 Nov. 2003, aged 87 years. 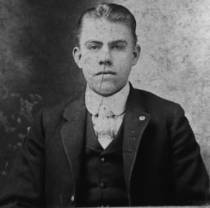 He was the son of George Andrew Yoders and his wife Pearl Matilda Camp. - Katherine Barbara (Katie B.) Yoder, 92, of Valley View Haven, Belleville, Pa. d. Jan. 26, 2004 at Valley View Haven. b. May 3, 1911 in Belleville, daughter of Samuel R. and Jemima E. (Peachey) Yoder. Her husband, Moses A. Yoder preceded her in death Oct. 19, 1990. - Edward J. Yoder, 94, died at 2 p.m. Feb. 10, 2004 at the home of his son, John Yoder of Shipshewana. He was born Oct. 12, 1909, in LaGrange County to Joseph H. and Amanda (Sunthimer) Yoder (YR23449b). The annual reunion of the North Carolina Yoders will be held Sunday August 8, 2004 at Zion Lutheran Church near Hickory. Contact Ted Yoder, tedyoder@yahoo.com , Bill Yoder, BYODERNC@aol.com , Rachael Kennedy, rkennedy@rbh.com , or Albert Yoder, doreah@twave.net for information. The 8th annual meeting of House of Yoder was held November 8, 2003 in Grantsville, Maryland. Nathan (Nate) Yoder, a native of Grantsville and now assistant professor of church history at Eastern Mennonite Seminary in Harrisonburg, Virginia, was the featured speaker on the theme "Building to Remember". The Yoder House in Grantsville now has its own web site which can be viewed at http://www.houseofyoder.org. Future events at House of Yoder include the annual Summer Festival in Grantsville which will be held July 9-11. The house will also be open on most Saturdays during the summer months. Finally, the Yoder House is delighted to announce that it will host a National Yoder Reunion in 2006, tentatively scheduled for the third weekend in October. Questions about memberships or contributions to the House of Yoder project may be directed to Lonnie Yoder (ltbyoder@adelphia.net, 540-432-4272. 1066 Smith Avenue, Harrisonburg, VA 22802.